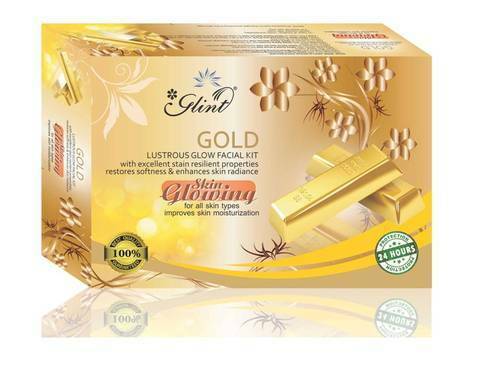 Glint Facial Kit, presented by our company is an indepth researched product across Salon's and requirements of women to meet desired results. 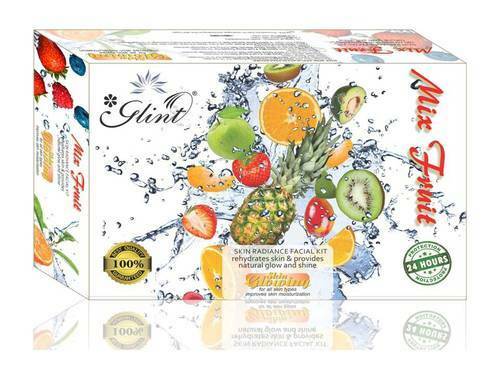 It contains herbal ingredients to relax anf glow the skin. There are 5 varinats in it. Gold facial Kit, Aloe Vera Facial Kit, Diamond Facial Kit, Mix Fruit Facial Kit and Bridal Facial Kit. A specially formulated cream to unmask your true complexion by scrub action. Gentle Scrub action facilitated by scrub grits removes dead epithelial cells, blackheads, whiteheads from the skin. This pack firms and tightens the skin. It makes the skin glow. Cleanses clogged pores and removes impurities. It restores the elasticity of your skin, improves skin texture and helps minimize wrinkles. 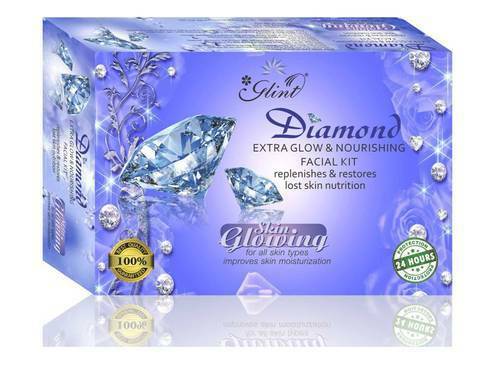 It is a specially formulated gel for instant glow. 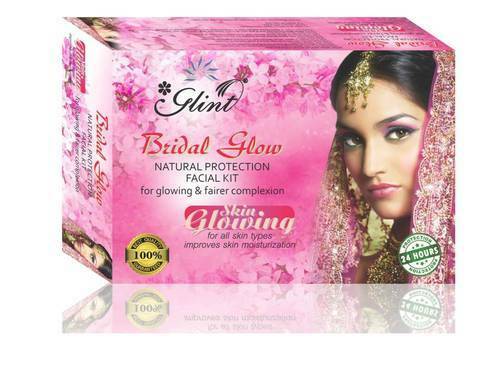 It reduces visible signs of ageing & gives your skin more radiant look, giving face more shine & lusture. This richly enriched cream rehydrates skin and enhances its moisture retention capacity. It gets easily absorbed into the skin & leaves the skin soft, smooth and protects it from the dry effects of the sun. This Gel rehydrates skin and enhances its moisture retention capacity. This gel is easily absorbed into the skin & leaves the skin soft, smooth and protects it from the dry effects of the sun. 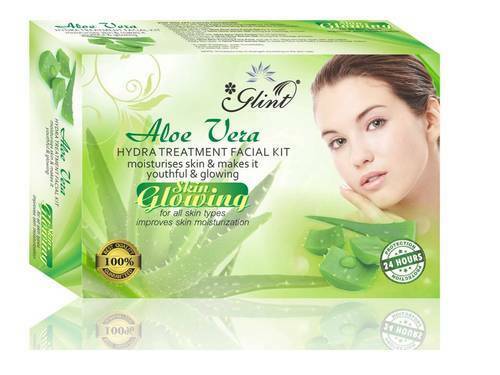 Aloe Vera rehydrates skin and enhances its moisture retention capacity. This gel is easily absorbed into the skin & leaves the skin soft, smooth and protects it from the dry effects of the sun.